Few hours to the national convention of the party and it seems things are falling apart for some key party members. The Senator representing Ogun East Senatorial District at the National Assembly, Buruji Kashamu, has rejected his suspension. Buruji said he was neither accused of committing any crime nor asked to come and defend himself before any committee. He, therefore, wondered why he would just be suspended by the party without following the rules. The National Caretaker Committee of the party led by Senator Ahmed Makarfi had announced Buruji’s suspension, which it said would last for one month. No reason was given for the sudden decision of the party. 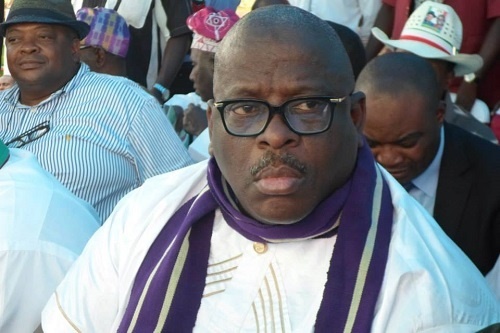 But it was gathered that the party took the decision following the ruling of the Federal High Court in Abuja, which had on Wednesday, struck out a suit filed by Kashamu, to stop the party from taking any disciplinary action against him.